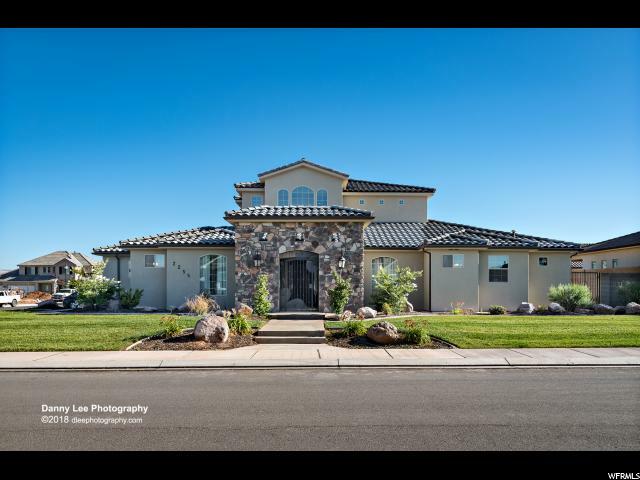 All FIELDSTONE 3 homes currently listed for sale in St. George as of 04/18/2019 are shown below. You can change the search criteria at any time by pressing the 'Change Search' button below. "Come fall in LOVE! This gorgeous home features 2 Casita's... Yes, that is right TWO! One for each in-law to stay for the holidays or your house-guests OR for when your kids just won't leave... The kitchen is simply breathtaking as the seller spared no expense when it came to cabinetry in this home... It features spice drawers, deep drawer banks, undermount soft close drawers & soft close doors. The open floor plan has a cozy fireplace in the great room. Also, has a secret pantry & a regular pantry. It has 3 laundry room, one on second floor & two on main level. 2 water heaters, 2/ac units, fiber optic cable and upgrades galore. This home is on a corner lot in the coveted Little Valley area. Plus, there is parking galore!"